Jiya Julia Randall is one of the founders of international yoga school and retreats organization Kula Collective and a guide for empowered and conscious living. Jiya is a deeply connected leader who roots her teaching in the healing energy of nature. Her teaching invites students to explore their own, unique unfolding, through profound awareness and trust in the wisdom of the Self. 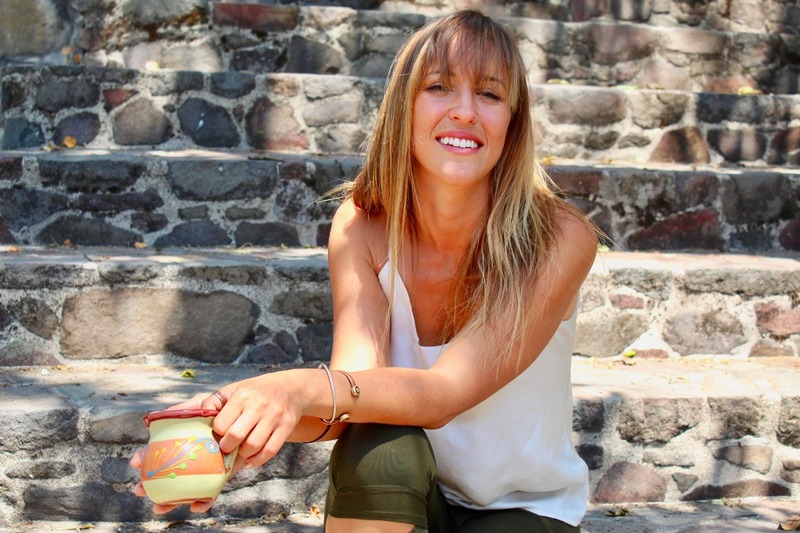 Through her studies with teachers and shamans across the world, Julia has developed a powerful sense of energetic connection and a strong set of philosophical and intuitive teachings, which she shares through creative hatha and yin yoga, sacred fire and medicine ceremonies, kirtan and healing therapies. Jiya is also a talented musician and sound healer, who seeks out native chants and medicine songs from around the world to complement her work. Jiya is YA-certified at the ERYT-500 level and has facilitated both intensive and module-format teacher trainings at RYT-200 and RYT-300 levels for several years, through multiple schools. 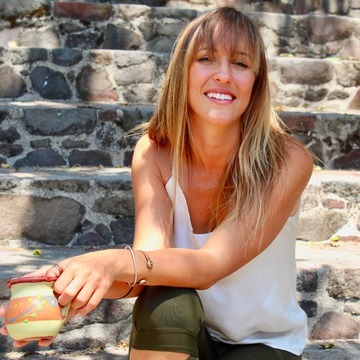 Following her degree in Physics at Imperial College, London, Julia worked as an Energy Consultant and part time copywriter and editor in London, UK, before moving to Central America in 2009 to pursue a life centered on yoga and holistic health. British by birth, Jiya is now based in Bali and teaches in Thailand, Australia, Mexico, Greece, USA, Guatemala, Nicaragua, Costa Rica and Peru. Julia’s powerful connection to nature, passion for music, writing and creative expression, aptitude for the natural healing arts and scientific background have given her a thoroughly holistic understanding of yoga and its philosophy. Her colorful experience of the world comes through in her unique metaphors, powerful visual meditations and shamanic journeys. Her passion for sound is felt as she shares medicine songs in savasana, heals with sound tools in the deepest poses, and enlivens hearts through vibrant Kirtan circles. Her compassionate teaching style invites students to explore their own experience and understand the process of healing from a personal, unique standpoint, calling on many rich and varied techniques to bring the entire Being back into balance. 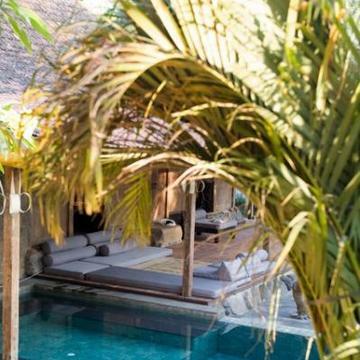 In all her offerings, alongside yoga, Julia specializes in holistic health, bringing in a range of practices including energy healing; shiatzu, massage and aromatherapy; sound healing; shamanic healing, fire and cacao ceremony; pre- and post-natal care; nutrition and herbalism; and personal coaching. Alongside trainings, Julia holds space at her own international workshops, ceremonies and transformational retreats through her project CreateSpace, which focuses on guiding participants to find their own sacred creative expression and unique essence, whether in yoga teaching or in other forms such as art, music or writing. Jiya is a DONA-certified doula (birthing assistant) and offers private coaching for holistic wellness, yoga teaching and personal career/life planning (please contact Jiya directly for more information). Away from her teaching life she is also a writer and singer/songwriter and is currently creating an album and a novel based on her own spiritual journey. A strong element of Julia’s intention is to empower her students to understand healing as a personal creative process, intertwined with self-development and opportunity. The pursuit of wellness is ultimately the work of finding harmony and balance with all the components of What Is. Yoga not only develops bodily awareness but also reaches into the mental and deeply into the energetic, helping people to delve inside and explore their own, unique unfolding.